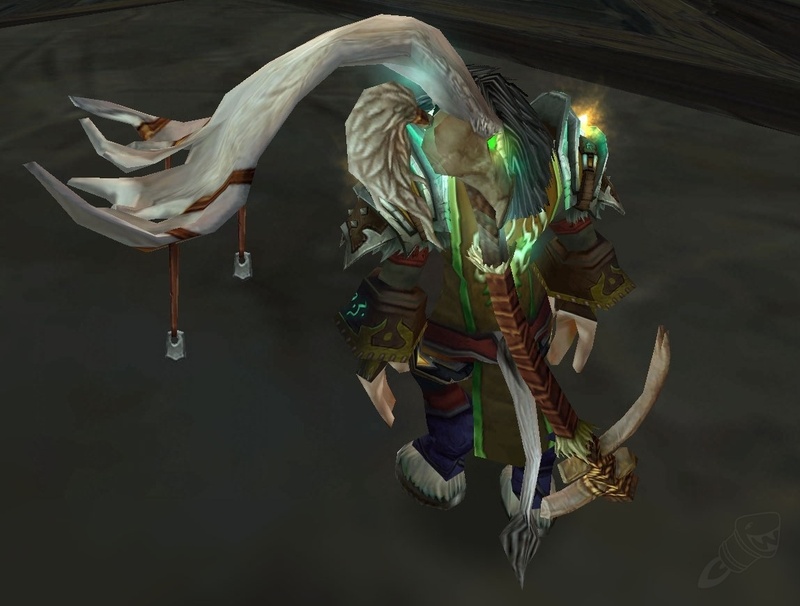 Feral staves used to have a reputation of being awesome. We had ugly cat and bear forms, so they had to give us something pretty to look at, right? Even if it was just for running around Shattrath. 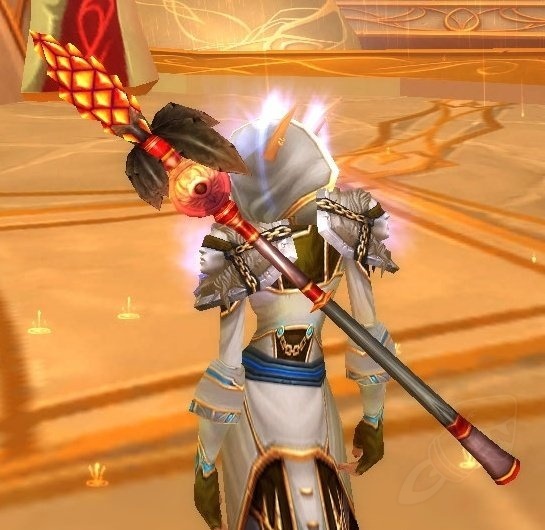 Then we started sharing staves with hunters, and our options were suddenly less cool. 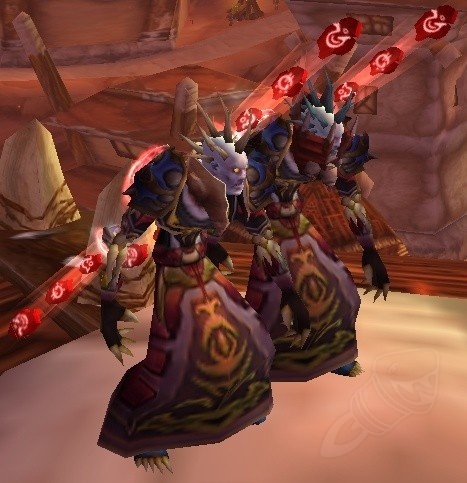 Well, now that the ability to change the appearance of your gear is coming in 4.3, we can go back to the way things were! Here are, in my opinion, the best options to pick from. This staff will be the first thing I change. It is huge, bright, and looks very much like it belongs in the hands of a druid. 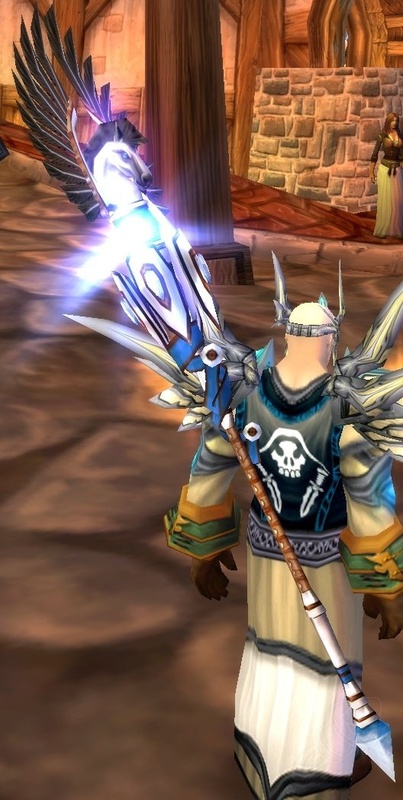 It was my favorite item in The Burning Crusade, even if it wasn’t that great for tanking. 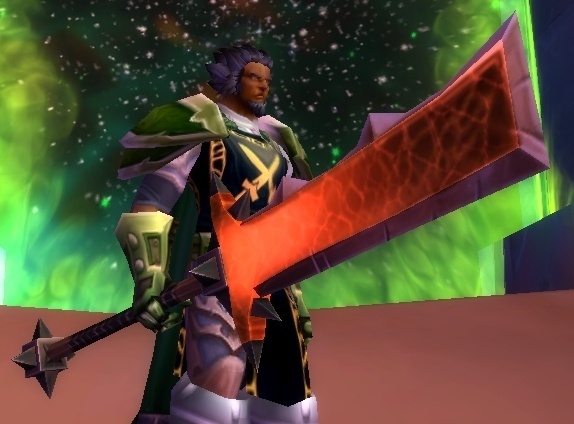 Sadly, I’m going to have a bit of farming to do before I can transmogrify to this beautiful weapon. 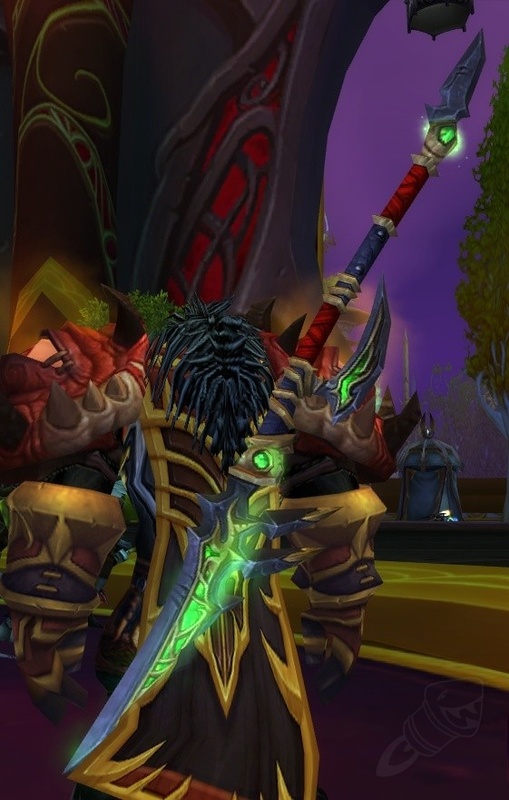 Not quite the looker, but the majority of bear tanks used this staff all throughout their career in the Burning Crusade. Sometimes you need a simple weapon, whether it’s to complement your complex gear or to indicate a natural druidic lifestyle. 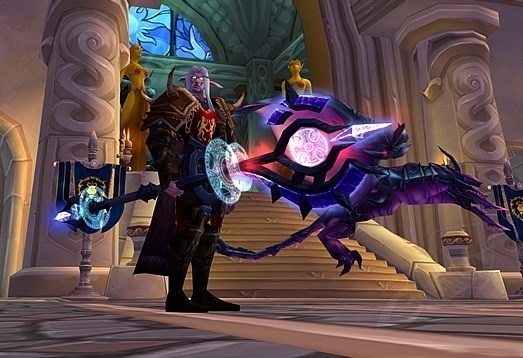 If you want to go back to the times where we didn’t get true weapon upgrades for many raids, this is your staff. 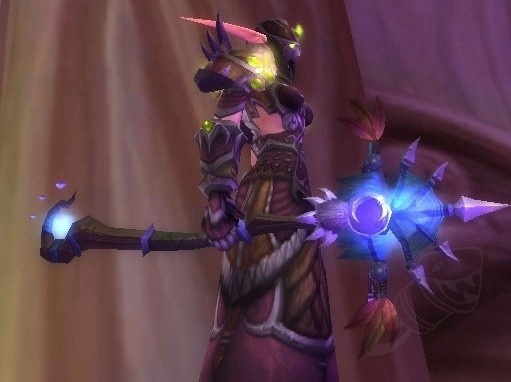 Famous for it’s wriggling tentacles and the often inappropriate connotations, this staff is great for anyone who wants remember the Karazhan days and creep out their guildmates at the same time. Karazhan is also easy to solo at 85, so if you don’t have it you can get it easily. Traditionally, this weapon was paired with Tier 4. 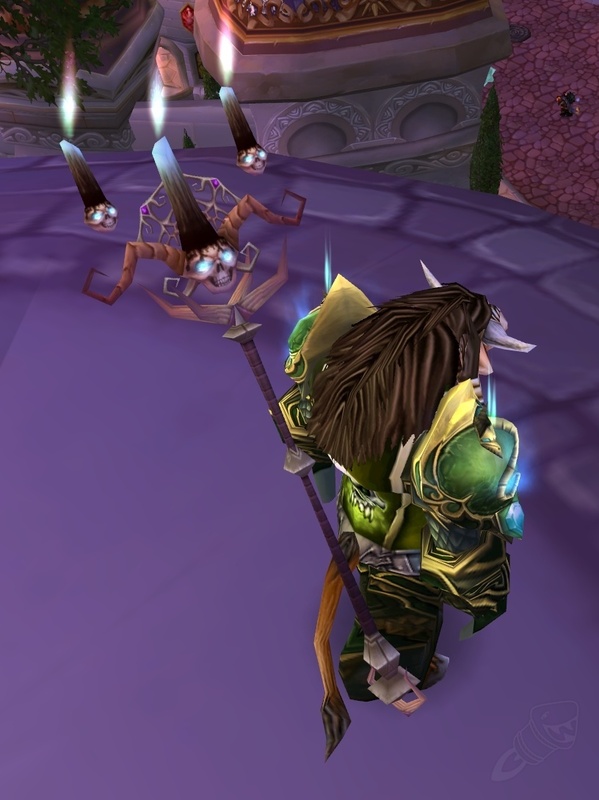 Although the dark colors of the Stranglestaff contrast nicely with Malorne’s Harness, I don’t believe octopi and stags play together nicely. The first staff that dropped in a 25 man raid that was actually an upgrade for feral damage (though again, not tanking). It’s not as striking as some other designs, but it is beautiful. I got mine on the last day before 3.0 (the patch that upgraded everything to Wrath of the Lich King), so it has a special place in my heart. Not a feral staff, but definitely iconic. Since it is still a staff, we can use it to customize our gear. 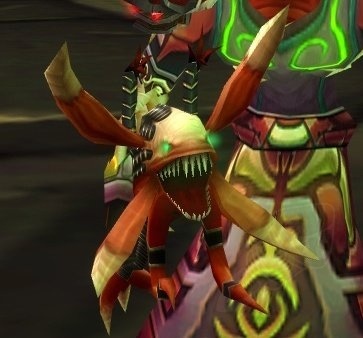 There’s a wriggling fel-puppy on the top, creepy! 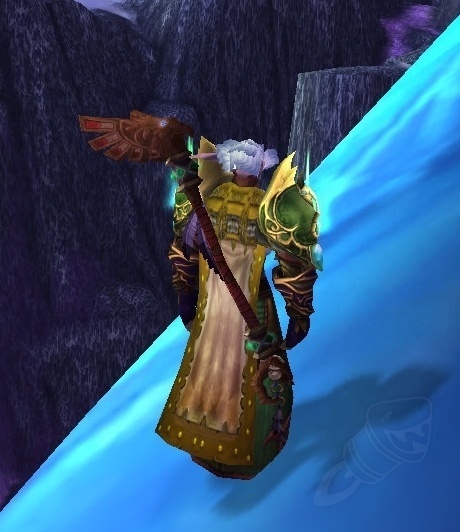 Blizzard had a fascination with near-living staff toppers during the Burning Crusade. Ah, the “priest on a stick”. 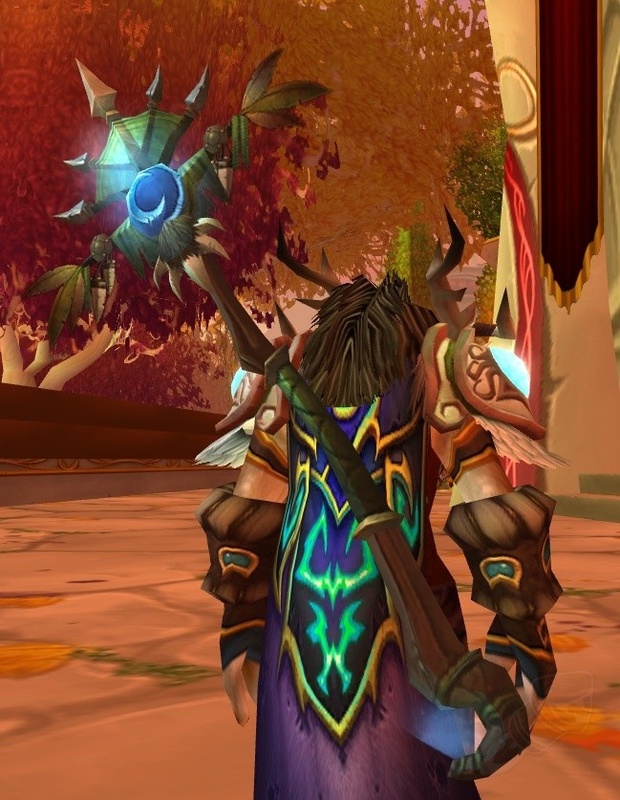 Another non-feral staff, but it will bring a lovely purity to your tanking ensemble. Or maybe you want it because it will be a physical representation of the tank-healer bond. The only non-epic on this list, but it is a beautiful staff nevertheless. The flowers bud and bloom, and it is covered with green foliage. 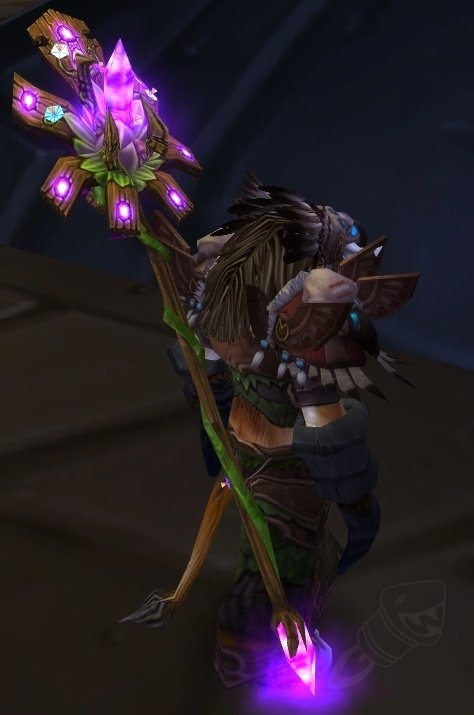 A very druid staff. A totem-like bird staff. It actually matches druid T6 quite well, even though it came an expansion late. Unknown to us at the time, it was the last true bear weapon we’d ever see. 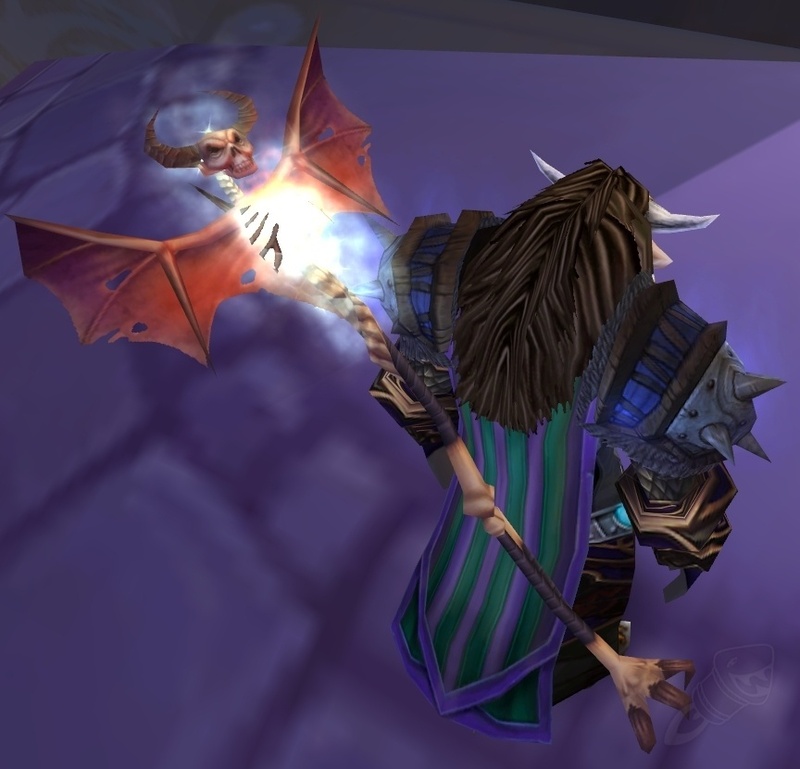 This staff was a brief reminder of the old-fashioned feral designs. Unfortunately, it is Horde only (and the Alliance equivalent is super boring). It’s made out of a shoveltusk horn and it’s probably one of the biggest staves out there. 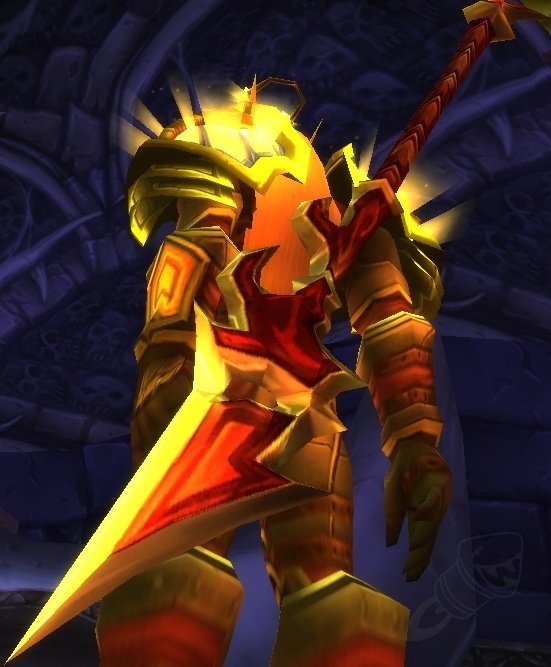 Largely useless to most classes, it sure does strike an imposing figure. I don’t really like creepy skeleton bats, but to each his own. At least it’s interesting. It’s got this funny pinecone or dragon tail tip on the end, what’s more to want? Some models look like they have an eyeball. Three candles and bright-eyed skulls. It’s basically your own flashlight. A reader recommended this one to me, and I happen to agree that there is a subtle elegance to this weapon. 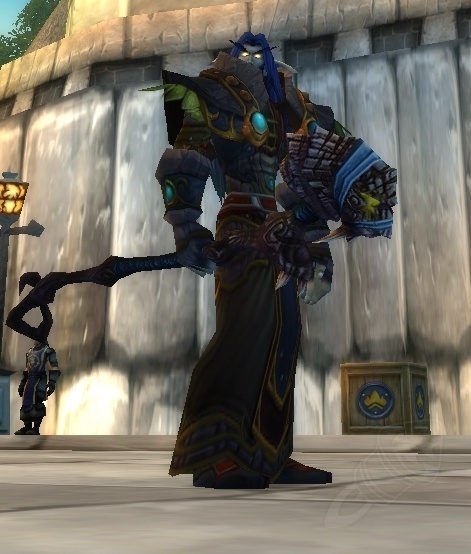 It also won’t hurt to add a few true WotLK weapons to this list. 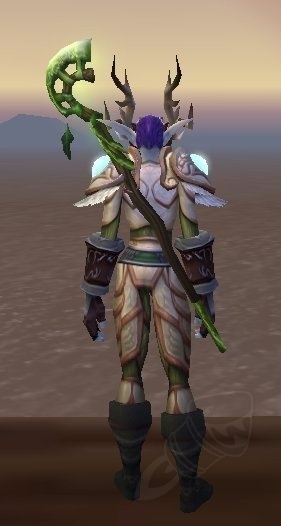 I’ve always loved the dangly, metallic leaves on this staff. Dreambinder is the only one with a blue orb, the rest have red ones. 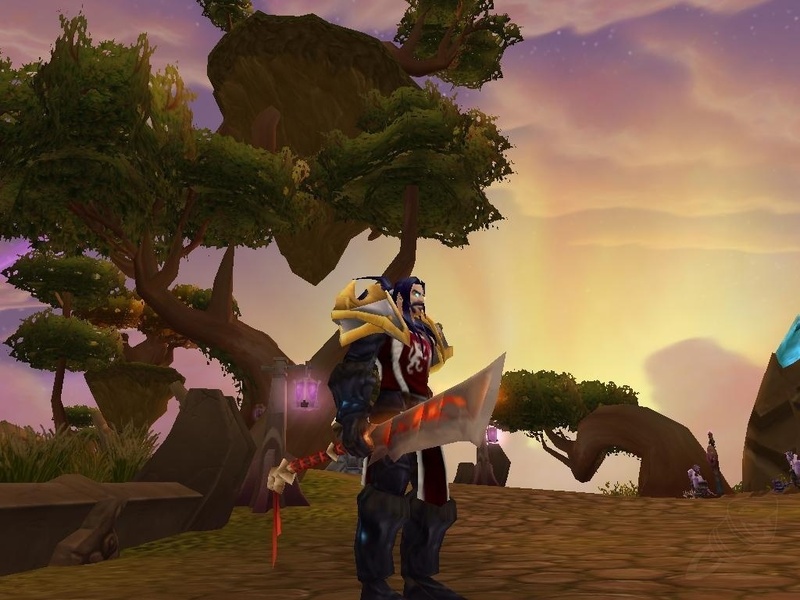 Even though these weapons are easily obtainable, they cannot be transmogrified. 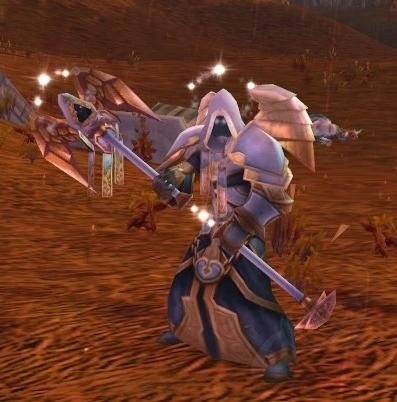 Here’s hoping Blizz changes its mind eventually, or adds lookalike items. It has these cool little runestone things suspended in red light. Okay so it’s just a recolor of Pillar of Ferocity, but I love that model so much that I’m posting it again. It’s a blue reskin of Stanchion of Primal Instinct, but much easier to obtain. 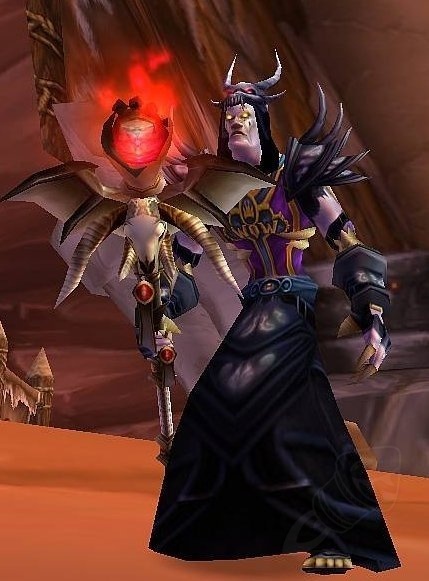 Obtained from: No longer obtainable, and Blizzard has not explicitly mentioned bringing it back, but we can always hope. It has an interesting little cat face on it. Not too flashy, but it has a dragon face. Now, staves are obviously the best option, but sometimes we have to use polearms. 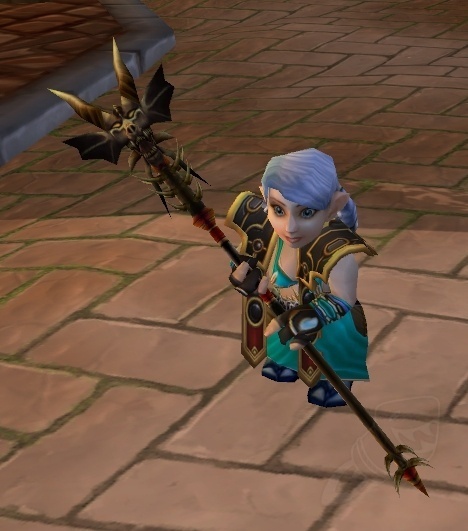 Blizzard stated that only bows, guns, and crossbows are interchangeable, so we can infer that you can’t make your polearm look like a staff. Sad news, but maybe there are some good looking pokey stick alternatives. A big, bright, blue polearm! It honestly looks more like a staff or axe from BC, but that’s what makes it awesome. Ok, it’s not that awesome looking. But it has a distinct Sunwell flavor, and is more prestigious than most of the other options. It’s got some interesting spikes, right? More than the usual single spike. 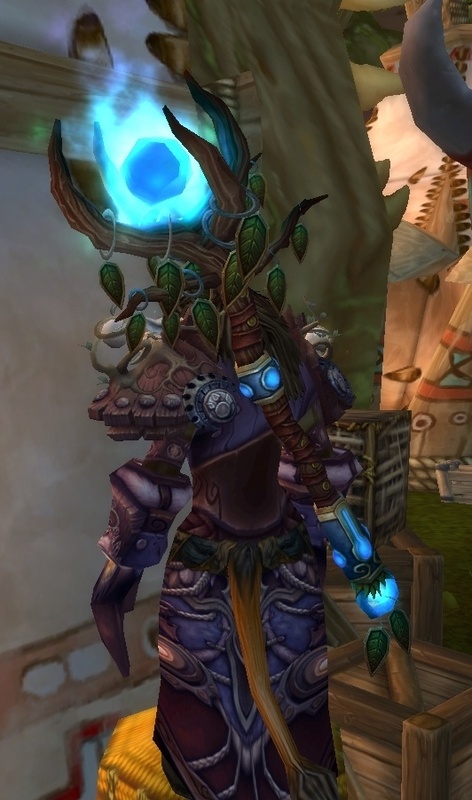 It’s a simple design, but a rare opportunity as druids to look like we’re wielding a giant sword. Also potentially rare because most people would have finished the quests and vendored the item by now. Famous for being the baby DK weapon of choice once they venture out into the real world, this polearm also benefits from the giant two-hand sword appearance. 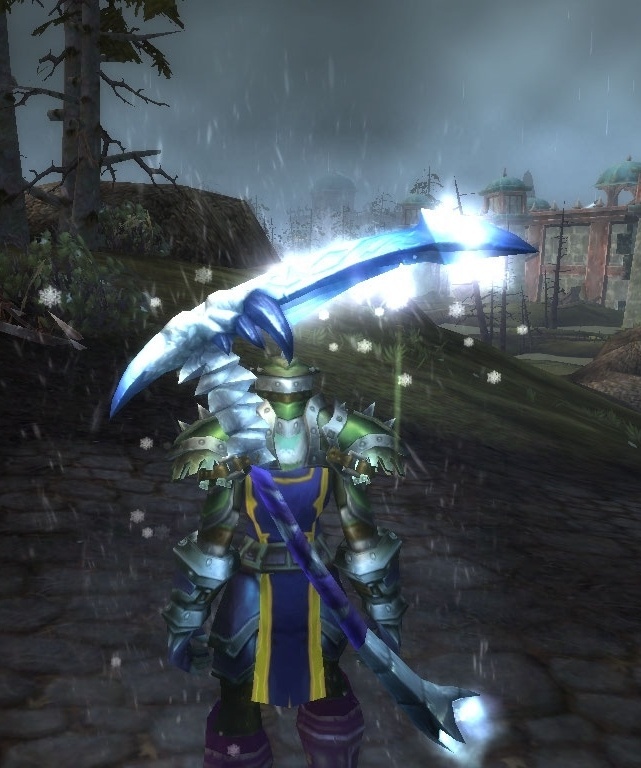 This polearm looks especially lovely with an enchant on it. Since it’s white, it probably won’t clash with your favorite gear, either. This weapon is as intimidating as the Grand Marshal’s Glaive is elegant. 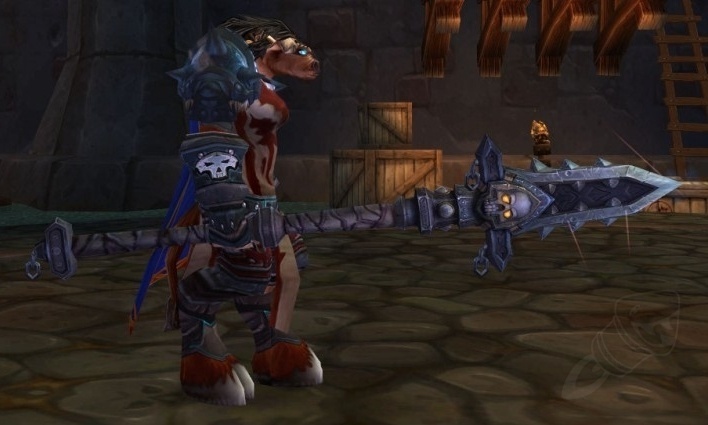 It even dwarfs this tauren. 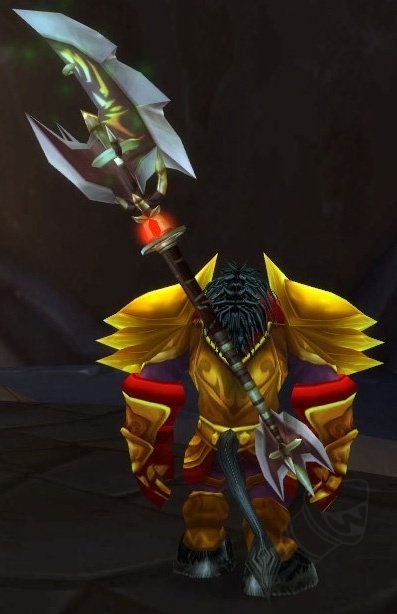 I never realized that the first three arena seasons featured the same exact polearm model. Boring. A little more emo than your average druid weapon, but it actually looks like a real life pike might. These weapons share the same simple and effective model. Want to look like the dealer of death? Go find one of these. 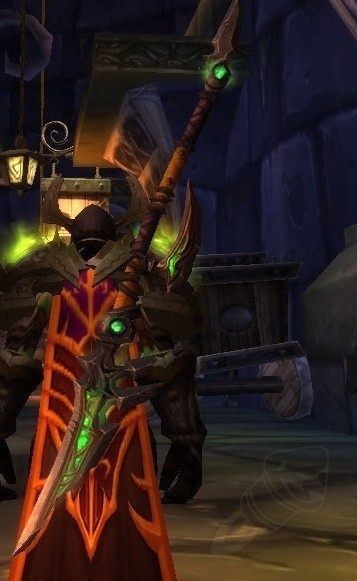 Any other ideas for staff and polearm customization?